With a huge need for affordable housing on the Central Coast, a local nonprofit has some big projects in the works. The area's largest affordable housing developer, Peoples' Self-Help Housing, and its property management partner, The Duncan Group, now operate under the same roof. The growing company has new ideas to help customers as the list of people seeking help gets longer. The San Luis Obispo-based property management group is looking to hire instead of lay off employees. "We don't usually see this model where we are really this full-service developer and service provider. So we start at the very beginning with finding land," said Peoples' Self-help Housing Executive VP & CFO Ken Trigueiro. Then, in addition offering cheaper rent, the nonprofit can build, manage and tailor services to each property. Having a better idea of the property and the tenants allows the organization to customize services like counseling, case management and after-school programs. The merger should also help tenant and owner talk more directly with one another. 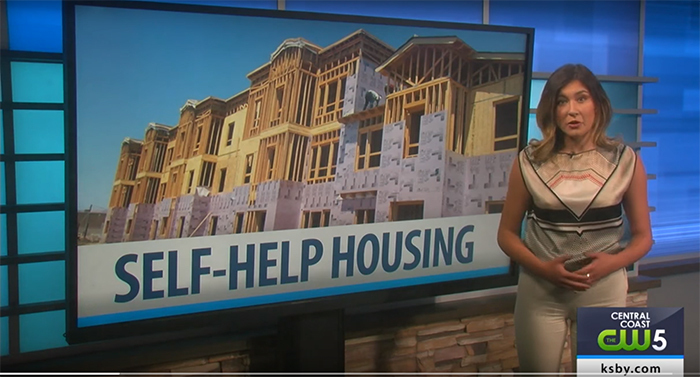 "That our residents understand that we are all one company, there are not two organizations that they have to deal with, so it's simpler for them," said Peoples' Self-help Housing COO Joe Thompson. PSHH currently houses more than 5,000 people with about 7,500 people on the waiting list. New units are available to low-income applicants based on a lottery. PSHH is nearing its 50th anniversary and working on building four new sites in San Luis Obispo and Santa Barbara counties. There will be a grand opening of Los Adobes de Maria III, a brand new site in Santa Maria, July 27.